It looks like it might be a while before we see any more A Star Wars Story films from Lucasfilm. According to Collider, "Lucasfilm has decided to put plans for more A Star Wars Story spinoff movies on hold." As of right now, the plan is to focus their attention on Star Wars: Episode IX and the new trilogy of films that are being developed by Rian Johnson and Games of Thrones showrunners David Benioff and D.B. Weiss. The report also says that the previously rumored Obi-Wan movie was in active development, "but those who were working on the film are no longer involved." I assume that means James Mangold's Boba Fett film is on hold as well. 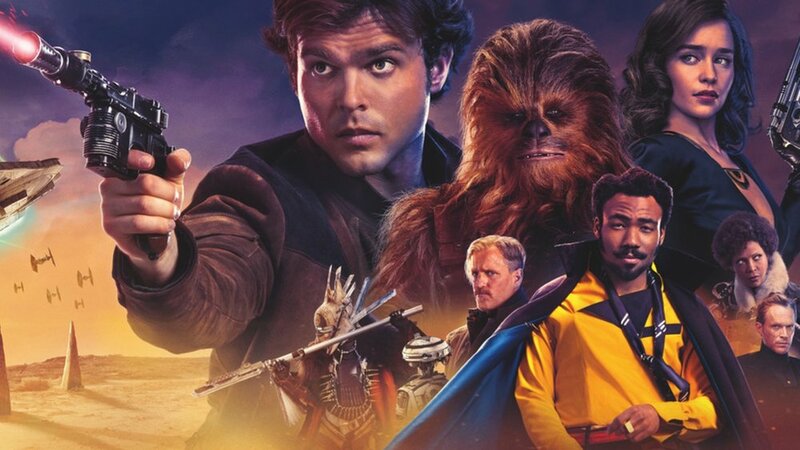 This is all just a rumor at the moment, but after the box office disappointment of Solo: A Star Wars Story, maybe Disney and Lucasfilm are going to rethink their strategy. I'm personally not buying into this rumor, though. I'll be surprised if it turns out to be true. There's just so much going on at Lucasfilm and it's hard to think that they would scrap everything because of one great film that ended up being disappointing at the box office. But, we'll see. I personally hope they aren't putting their spinoff films on hold. I've really enjoyed the two that they've made! What do you think about this news? Do you think that they should put the films on hold? At this point, it seems like a lot of fans would rather see the saga films put on hold.